Please contact Andrew to make a bookings. Are you curious about Modes and Tools of Divination?? Tarot cards are modes of divination, which guide us and bring to our awareness energies that are important for us to know at any present moment. They are not a future telling tool, but rather a descriptive expression of the energies and vibrations surrounding a certain person, situation or time. The symbols and stories provided by the cards give us a greater understanding of the forces influencing us and offer us the guidance to respond accordingly. Please note: the weeks are not in consecutive order and there is a gap in April due to Easter. A complete folder to take home covering all 78 Cards of the Tarot, which you can add to over the course of the 8 weeks and continue to expand on throughout your learning and practice. A systematic and methodological approach to learning the Tarot cards and ways to move eventually towards an intuitive, archetypal, symbolic and more lateral, expansive approach to translating the various meanings in each card. Developing a personal relationship with your deck and ways of heightening and sharpening your natural intuitive skills and extrasensory gifts through working with them ritually and regularly. Guidance, direction and clarity on any given situation or enquiry. An awareness of the energies and universal support that is surrounding you, and ways to work with these energies. “Unexpected gifts” and priceless insights that go beyond what we could rationally conceive. An important concept to grasp before you begin working with the Tarot is that no matter how positive or seemingly negative the cards may appear, they are always (without exception) serving to direct us towards our Highest Truth and Wisdom. Keeping your intentions clear, loving and in Service of the Highest Good will only accentuate and heighten the potency of these invaluable tools of intuitive wisdom. 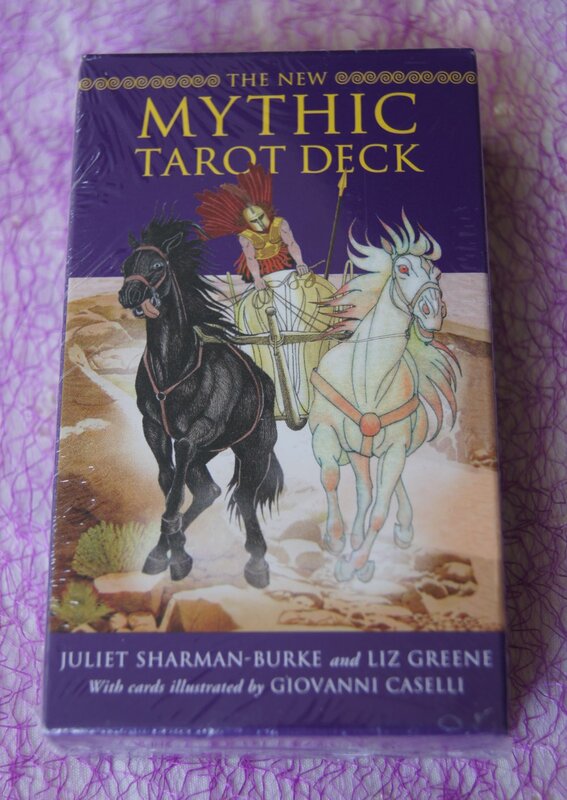 Most spiritually minded or esoteric stores will usually stock the Mythic Tarot Deck by Juliette Sharman-Burke and Liz Greene. Get in quick though as stocks run out fast. $150 non-refundable deposit required to secure your space. Each week I will allocate some time to do at least a 1 card selection, and as weeks progress we’ll work towards 2- 3 card spreads for one another …working up towards a 10 card spread by weeks 7 and 8. PLEASE NOTE: NO prior experience or practice is necessary. Open to both beginners and experienced practitioners. sent and even experienced practitioners know that when they bring a “beginners mind” to the space, there is so much more to learn! Please find a Deck that you resonate with or have developed a relationship with, however I will be teaching from the Mythic Tarot Deck ONLY (old and new) by Juliette Sharman-Burke and Liz Greene, so for ease of learning this is the deck I would prefer you bring to the course. Once the foundations are learned, they can be transposed to any Tarot deck. Email Andrew (follow link) or call on 0418121468 to register and secure your space or BOOK ONLINE via EVENTBRITE (follow link). Please note there is a small processing fee when booking through eventbrite. TO TRANSFER DIRECT INTO BANK ACCOUNT please contact Andrew via email. Andrew Mournehis began reading and studying Tarot in 1997 and delved deeper into esoteric studies and mysticism in the years following. 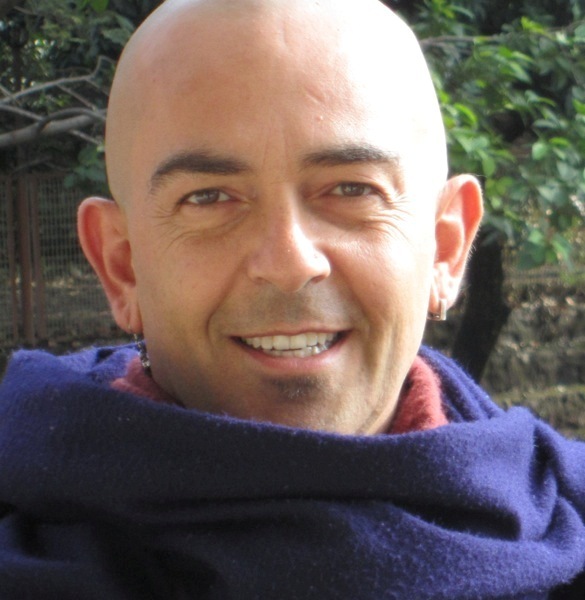 He graduated from the Phoenix Institute of Australia in 2001, with an Advanced Diploma in Transpersonal Counselling, with a very clear vision that his gifts and passions were best directed in the power of group, archetype, mythology and the potent healing energy that is exchanged in each others stories, both personal and universal. Being an already established yoga teacher, he spent the next 13 years facilitating many healing groups, workshops, intensives and retreats both nationally and internationally working with the healing potential of both Yoga and Transpersonal work. Having practiced Tantra for over 17 years, Andrew unites his diverse background and experience with Transpersonal work, Mythology, Astrology, Tarot and Philosophy to bring a rich and exciting view and perspective on this liberating art form and mode of Divination.